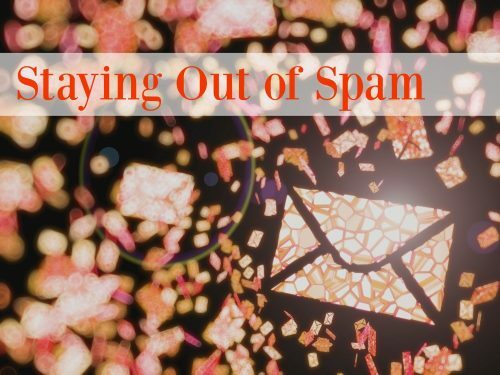 Are Your Emails Going into Spam a Lot? …I can’t help myself when it comes to a Monty Python reference. How are you sending emails? Most people use Email Service Providers (such as Mailchimp, Constant Contact, etc) to send newsletters and marketing content. The good thing about this is many of those services recognize the bare minimum compliance requirements and if for some reason your email isn’t adding up, they force you to fix it before sending. Have you looked at your subscribers lately? Sometimes, people abandon or deactivate email addresses. But, when you’re still trying to send emails to these accounts (usually they show up as bounced), it reflects poorly on you, and you may get marked as a “bad sender.” To avoid this, check your email campaign reports. If there’s an address that has bounced 2-3 times, remove it from the list. It’s like weeding a garden- the work may seem tedious, but the overall health of the garden/your email marketing will benefit. How are people added to your list? A general email best practice is letting people opt-in to your emails. Otherwise, they may not remember how they were added to your list, and mark you as spam. An even better method than opt-in: double opt-in. This is where a person enters their email address on your website, and is sent a confirmation link to finish the subscription process. It may feel like an annoying extra step, but it’s a good way to weed out the people who are REALLY interested in hearing from you. Our local Y is not spammy. But our email filter seems to think so anyway. Another way to avoid being marked as spam is making sure it is easy to unsubscribe. Although it may seem counterintuitive, it’s far better for uninterested people to unsubscribe rather than mark you as spam. Does your message contain any of the following? Short Links: In an email newsletter, these can actually cause more harm than good (and some ESPs won’t let you use them at all). Extra Code: If you use a different program to lay out and design your newsletter, and copy/paste the code, this often adds a lot of extra code that is considered spam. If you believe your emails are heading right to the spam folder, these suggestions are a good starting point for troubleshooting. No one wants their hard work to be casually marked as “Junk,” after all! The last post of Meme Week. Could it be? This one is about email marketing and is possibly the nerdiest one yet. Pass it on if you like it! Next week, back to normal website/marketing stuff, but it’s been a fun week so thanks to everyone who has participated in our first ever meme participation. We may have to do it again! Two weeks ago, I found several emails that I hadn’t gotten earlier that were almost a week old from prospective clients. It made me wonder what other important business I was missing. I’m not telling you about compliance to be a jerkface. I’m letting you know because I was doing something illegal, I’d hope you’d tell me. By law, any email newsletter has to have a one click unsubscribe among several other things. That’s right, there’s actually laws governing email newsletter sends by companies. Any newsletter I saw in violation of this, I let the owner of the newsletter know about the CAN-SPAM laws and asked politely for them to unsubscribe me. If I got an email newsletter from the same company again, I marked it as spam. Out of the twentyish people I wrote to, I got back one ‘thanks for letting me know’ which caused me to bookmark that website. I wasn’t saying it to be mean, really! If you send multiple emails a week, don’t let it be all or nothing. Many larger companies send at least one email newsletter a week. When I got to their unsubscribe page, they mentioned something to the effect of ‘we have a weekly summary email if you want to keep in touch’. Giving someone like me a weekly or monthly option may allow us to reconsider. Don’t make it confusing to unsubscribe. It makes me think you’re trying to trick me. One email newsletter had some double negatives going on in a way that I had to read the page very carefully to make sure I had actually unsubscribed. That site did not make my bookmark or RSS list because I felt like they were trying to pull one over on me. Please have an RSS feed. 2) Wow, they don’t want to give anything away for free in terms of content (they want to make me go to their website for everything). Listen, for item number two, you can just have the RSS feed be partial (making someone click to read the entire post) if you really want people to get to your site but honestly, who cares how people get the info as long as they’re reading? Oh and you can put ads in your RSS feed if you want to make money anyway. In other words, no excuses not to have one. Give me other options besides email. On the unsubscribe page, you can tell me you’re sorry to see me go yet urge me to stay in touch other ways, like Facebook, Twitter, or RSS feed. Just because I don’t want to get email from you doesn’t mean I don’t want to hear from you at all. I’m not dumping you, I swear! So two weeks later, my email seems much more manageable so far. Who knows, I might resubscribe to some newsletters but at least this will give me a chance to miss them. Your turn my email loving friends: What’s your favorite email newsletter to get? 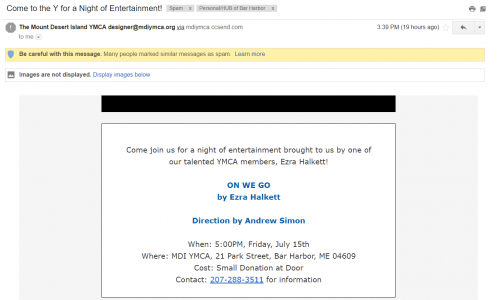 And what do some businesses do in their email newsletters that drives you nuts?